yay, its 4 days since i last update this blog. apologized for my absence yours truly have been busy for the past few days. anyway my eon card is now working see more story here. finally i am done with my 3 task but a bit disappointed cos i accidentally rejected one task and i also not able to grab one task cos i am chatting to my love but i don't regret it i want to chat to my love done grabbing task. anyway i will be signing off soon today and hoping to chat my love later today. he is a bit sick today cos of his leg too bad i am not beside here while he is in pain anyway time will come for that and i will surely glad to be with him always. Ester of walk through my online diary gave me this amazing award. thanks for giving me this award i really appreciate it tey. it's always a great pleasure whenever i my blogs received an award it only show that i need to strive more to do good on my blogging. hello bloggers friends good morning its 1 day to go and its Christmas. Finally i am done buying buying to my son nephew and nieces thanks to my love. **winks**. they are asking who gave the gift but i said its not for them its for the barangay constituents like before ng gumawa ako ng mga gifts.hehehe..
yay, its been days since i last update here. your's truly been so busy and now i am a little bit sick. and bad thing is i not able to catch up the 5th morning mass. 'twas raining outside and i not want to get sick. anyway i saw this video at youtube. this video makes me proud to be a filipino. i tears flow on my check when charice finished her song and the audience made a standing ovation. isn't great? watch the video see it for your self. enjoy watching. The rule: When you get tagged, you have to add your name next to the person who tagged you and by doing so you are letting the list grow. My Love. My life. My everything. 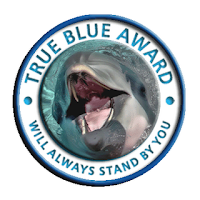 Huh, a true blue blog award from my favorite pro blogger Emmyrose. It always touches my heart whenever i received an award from my co-bloggers. In spite of being a new blogger I can say that I achieve more than enough. Though I know i still have lot of flaws in blogging. Argh.. I know sometimes my english grammar is bad. BTW this award is the first award that My Journey received since i open it in public last month. Again sis Emmyrose thanks for remembering me. Nova --> for always dropping into my site and the first blogger is chatted in ym. Femikey --> a blogger which i met on a nice group in friendster she is my mentor in blogging though i manage an freindster blog before and open my mind that i can earn money in blogging.thanks sister for being their when i not know how to do to this blogy things. PrettyLifeOnline and Poray --> 2 blogger that speak the same dialect i use waray_waray. i am really grateful to meet you guys here in the blogosphere. Ester tagged this on my other blog but since i am done doing this on that blog i decided to put it here. I am not tagging Joy, Ghee and Jean. 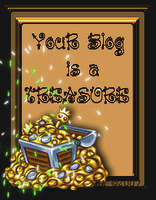 yay, this blog things is telling the truth I think. I actually don't buy expensive gift. If I will to buy a gift it should be something that the person who I will give the gift can used it. By then I will be always be remembered. hehehe.. Nah.. Christmas is near but I haven't buy any. I need to buy few christmas card and send it to my friends online whom really touch my heart. Yay, its first day of December Christmas is in the air. Nights are getting cold nah. Christmas will always my favorite day throughout the year. Too bad i can't feel it today. Why? It is because I am sad today and I will just keep my self the reason why. I am keeping my finger cross that soon this will be over. Hope I am in the arms of my love today. PPP did not pour opps for me yesterday and today. what is happening huh? I am going to bed soon and I like going to bed that sitting in front of my pc now. It makes me more sad really.